High quality silver plated barrel shaped cufflinks. 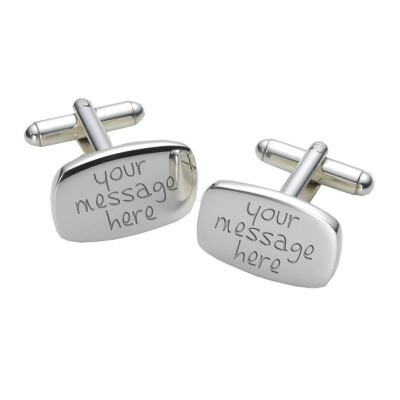 Each cufflink can be engraved with a personalised message of your choice. Supplied in a smart cufflink case.